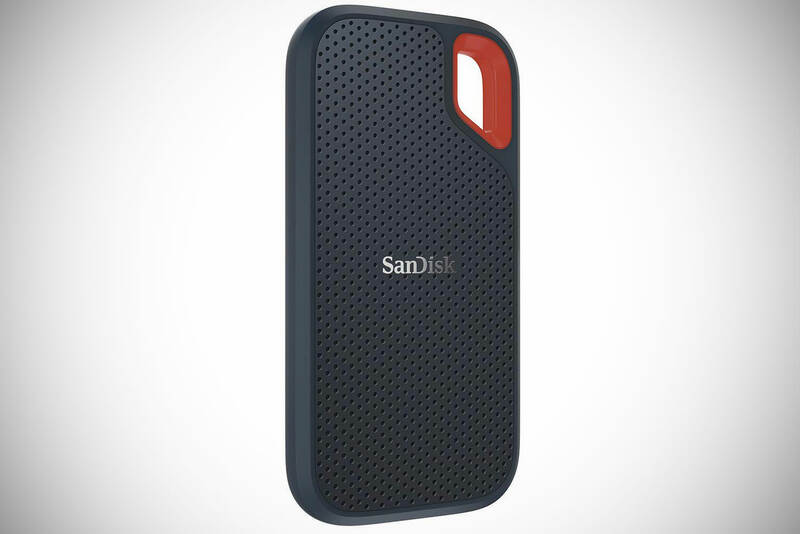 SanDisk’s 2TB Extreme Portable External SSD is ruggedized, water- and dust-resistant (IP55-rated) makes it perfect for the rigors of everyday life, all for $299.99 shipped, today only, normally $699.99. It delivers high-speed transfers with up to 550MB/s read speeds, which works great for saving and editing high-resolution photos and videos. The drive comes equipped with a USB 3.1 Type-C connector and also includes a USB Type-C to Type-C cable as well as a Type-C to Type-A adapter, meaning it’s compatible with nearly all types of computers. Product page. Read more for a hands-on video review, additional pictures and information. This compact and pocket-sized drive boasts a shock-resistant solid state core for greater durability (Shock-resistant up to 1500G) and is vibration-resistant (5g RMS, 10-2000 HZ) to boot. Integrated password protection uses 128-bit AES encryption and is supported by Windows 10, Windows 8.1, Windows 7 and macOS High Sierra, Sierra, Mac OS X El Capitan, and Mac OS X Mojave. More information. “Super fast and super portable. Using the 1TB version, I’m getting an average 470 MB/s write and 515 MB/s read with a 2016 MacBook Pro over USB-C. The drive weighs absolutely nothing. The hole in the top is perfect for a carabiner to fit through and hang from a tab in my backpack,” said HeyJoe! on Amazon.